A motorcyclist was killed after his bike collided with an SUV at approximately 3 p.m. on Thursday, March 14, at the intersection of Southeast Stone Road and Highway 26 in Boring. 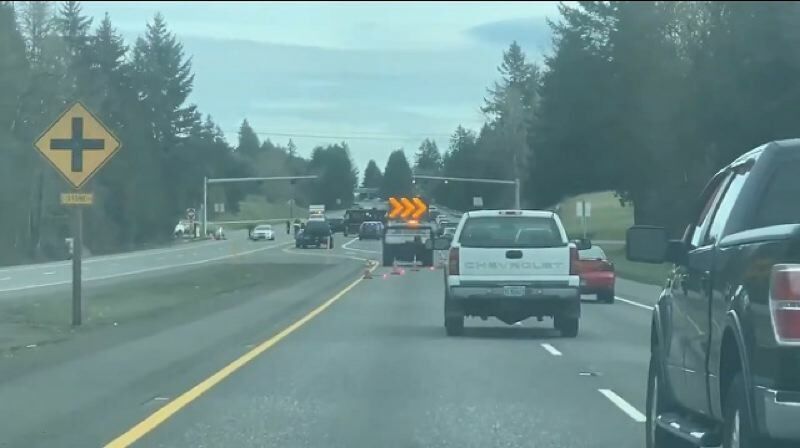 The SUV was traveling south on Southeast Stone Road and turning left onto eastbound Highway 26, according to the Multnomah County Sheriff's Office. The motorcycle was headed westbound on the highway. The driver of the SUV remained on the scene and cooperated with investigators. "This is a very high-traveled highway," MCSO Sgt. Brandon Pedro told KOIN 6 News, a Pamplin Media Group news partner. "I wouldn't say it happens daily, but you know enough to where people need to slow down and you know, take their time getting to their location." The crash was the second collision in two days on Highway 26. On Tuesday, March 12, 10 people were injured when a school bus collided with two cars. MCSO's East County Vehicular Crimes Team is investigating the incident.